Click on the picture above to see the details of the 1936 Austin seven based car. 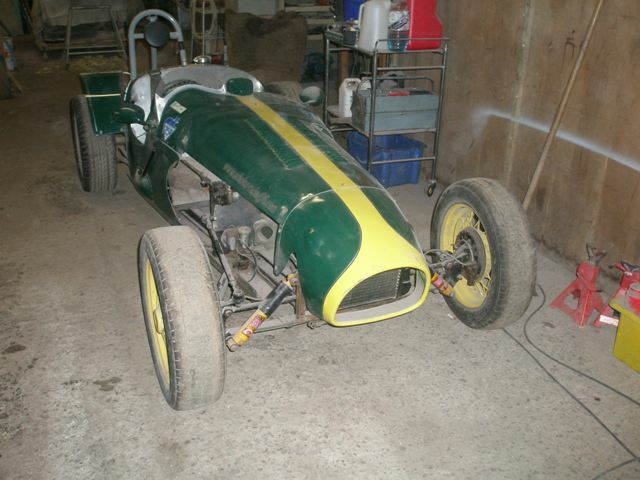 click on the picture above to see what we're doing with this Pre-unit Triumph 500cc race car. The BMW K100 8 valve engine complete with its own sequential 5 speed gearbox is the basis for this racecar. The entire inlet and exhaust tract remains standard and no modifications are allowed to the basic engine. This all alloy 4-cylinder water-cooled engine developed in the early 1980's supplies a healthy 90 BHP @ 8,000 RPM. With a maximum rev limit of some 8,600 RPM and gearing to suit, the right car powered by this engine will be capable of some seriously quick lap times. Designed and built in house using many innovative features and all the experience we have gained over the years from running a successful racing team. The engine in the Scholar 983S is traditionally mounted in the front of the car. This car was a pre-production prototype, built as a development of the existing Scholar 983F project. 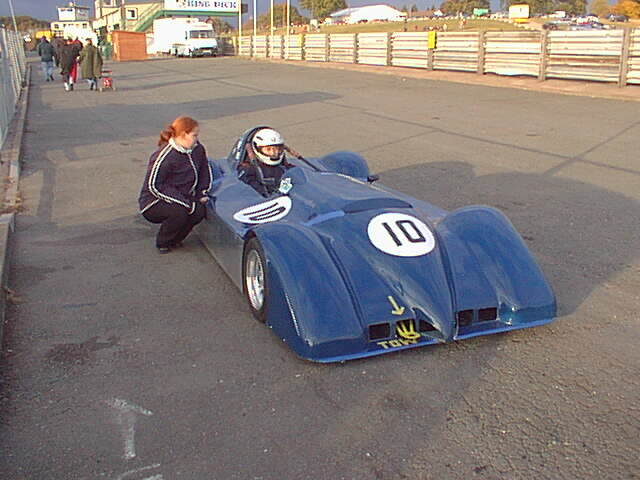 Having gained some valuable racing mileage with this car in the Sports 1000 series we set to and built a 750 formula version of the car.